Wowzer! Awesome week in the Almond Rock household. There’s so much to fit into this post but I’ll try and keep it brief. Dinner at Salvos in Headingley was lipsmackingly delicious. I had a vegetarian calzone with spinach and aubergine and gorgonzola stuffed inside. Amazing. And then for pudding I ordered lemon cheesecake and it came with a surprise. The waiting staff singing happy birthday to me, ahem, I went bright red. THEN the cutest little girl with a green stripe in her hair and a huge birthday badge came up and gave me a spare badge she had as we were birthday buddies and she’d been sung to only 10 mins earlier! I got awesome gifts too off lovely friends and family. It always amazes me how lovely people are. And it’s great to get sewing presents as it makes my hobby seem more official somehow! I was given some lovely Cath Kidston things; like polka dot wine glasses (see left), heart shaped buttons, pins in a heart shaped tin, a cherry print apron and awesome pink salad tongs. 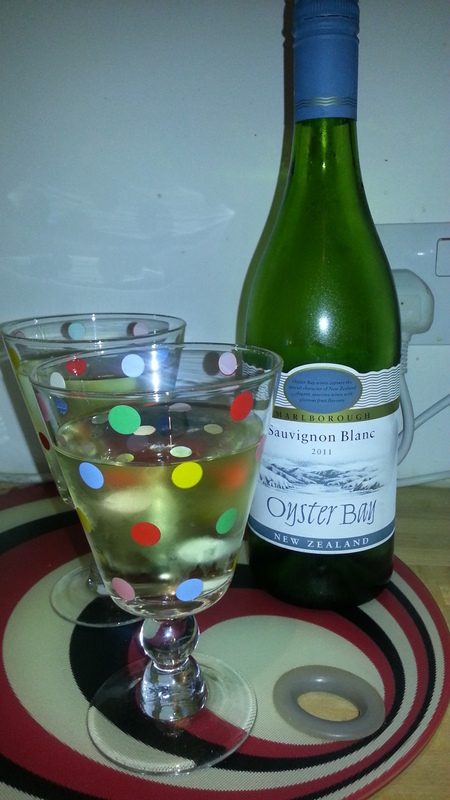 I can confirm drinking wine from a polka dot glass is extremely beneficial to your mental health. Hahah. Would I fib about it? Pebeo setacolor soleil fabric paint! Lot of words to essentially say, the uk version of Inkodye. I got cardinal red and buttercup yellow! Oh man you’re going to see some projects from me using that! Watch the video I linked to and tell me it isn’t awesome! A Beautiful Mess had their hands on some recently. A murder mystery dinner party game! It has a character called Vivienne Westfield, who is an upcoming fashion designer. No one else is getting their mitts on that character, it’s alllll me. Some lovely heart print cotton fabric and Butterick 5653 pj pattern. Reminds me a little of the Sewaholic cambie, right? And why the heckers couldn’t this be a proper dress or a top rather than just pjs? It’s all about fabric choice. I also got some books that’ll keep me busy for quite a while. I got John Richardson’s book — It’s Not Me, It’s You: Impossible Perfectionist Seeks Very Very Very Tidy Woman. It looks hilarious AND intelligent. She dressed all the women I love – Dietrich, Lombard, the Hepburns, Kelly and Taylor. Alfred Hitchcock: A Life in Darkness and Light which is a colossal book that got good reviews for not idolising Hitch and showing his excellent and lesser qualities. I also got Edith Head’s Hollywood the story of the amazing costume designer and winner of 8 Academy Awards! (This is more of an autobiography since she co wrote it. Plus it features a foreword by Bette Davis who I love). Top this off with a bunch of yellow roses, earrings, another dinner out at an awesome vegetarian Gujerati restaurant, a day out in York AND lots of cards and warm wishes. All in all I’m a very lucky young lady. And I saved the best until last. 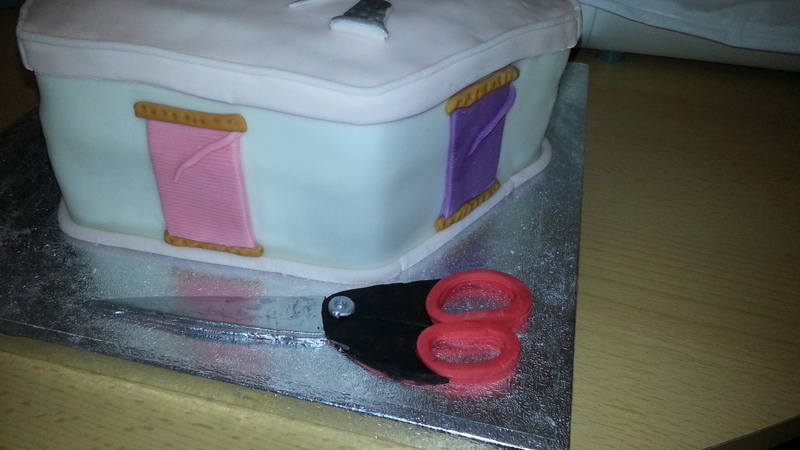 My super baker mum made me a cake…. And just to brag a little, it’s delicious as well as wonderful! Sorry if I come off smug. I’m just really happy. Wooooo!!!!! Sew Brum – See you there? Wow awesome! Well done you on having such a fabby birthday! Great cake! Thanks! I’ve re-read and I sound like I’m boasting a bit oops! 🙂 I’m really chuffed with all my sewing gear though. Hope you’ve been enjoying the summer and doing some sewing? You mentioned you were about to finish your phd right? Does no way sound like boasting! We would all love to be birthday princesses! Yep PhD all finished thank heavens , so just spent a blissful weekend sewing , resulting in one wadder & one piece of polka dot goodness! Woo! I’m glad happy to hear you had a good birthday! 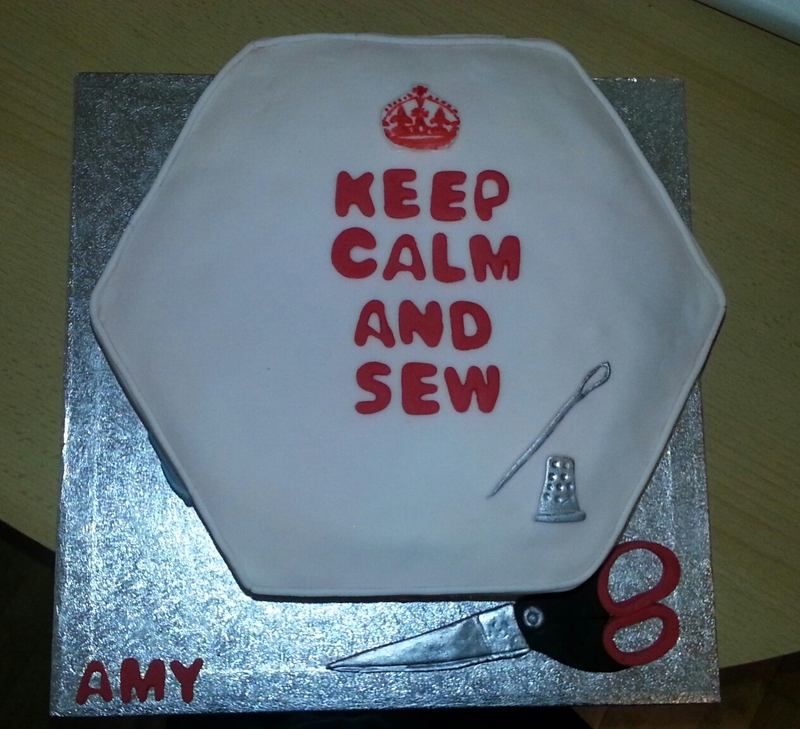 What could be better than sewing-related presents AND cake?! I agree, I think the heart pink would look really cute as a dress! Dresses are also 100 times more fun to make and wear.